Business French Courses aim to help students with Intermediate to Mastery (B1 to C2) levels to develop their language skills and techniques for the specific, internationally recognised exams (Diploma of Professional French) of the French Chamber of Commerce. Communicate seamlessly with French speaking clients, travel the world and do business anywhere in the world without language barriers! 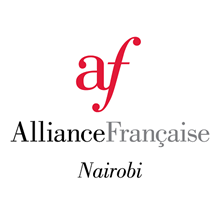 This course is for students and professionals working or looking to work within a Francophone business environment and/or with francophone partners. Students will become familiar with the socio-professional environment of the French business world and develop their Business French terminology. Students will also be prepared for the DFP* exam, so they can certify their proficiency in French. You've successfully shared Business French Courses. An error occurred while sharing Business French Courses. Please try again.